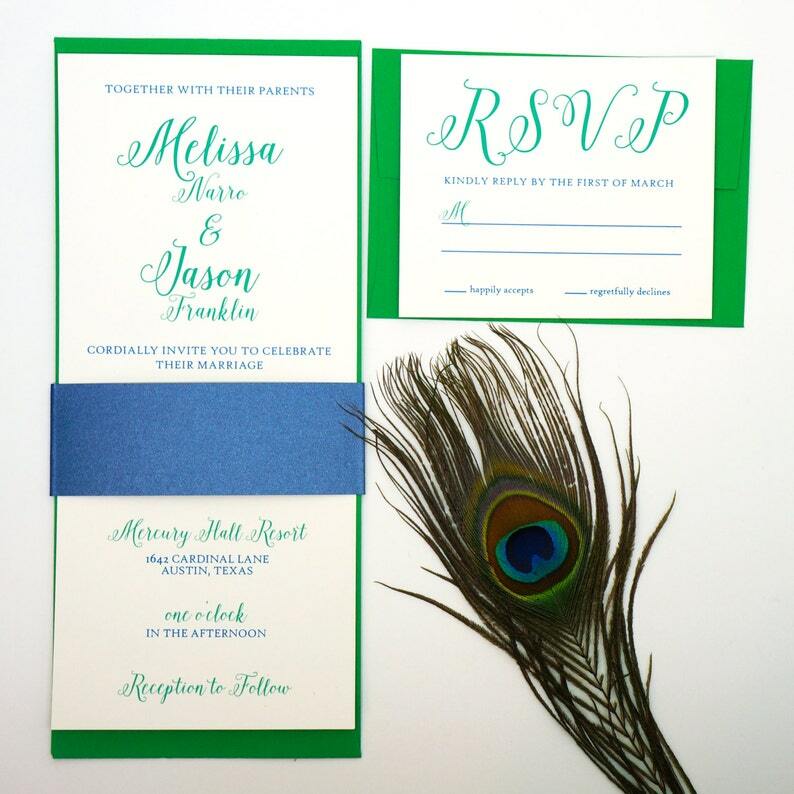 Amaze your wedding guests with this simple, yet stunning real peacock wedding invitation. A tall wedding invitation has a real peacock feather placed on top and is wrapped with a colorful band to hold it in place. This invitation can be customized by choosing which print, envelope, and band color that will work best for your wedding.